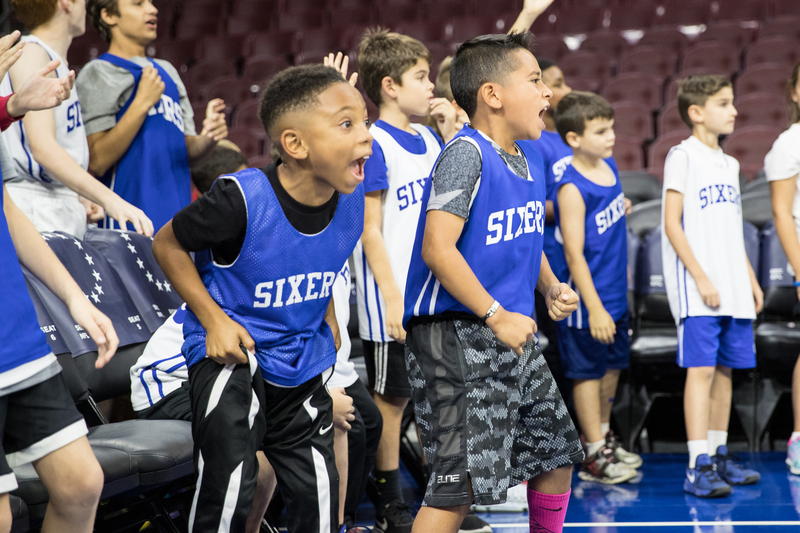 Bryn Mawr, PA—February 7, 2019— The Philadelphia 76ers and ESF Camps & Experiences, a national leader in the delivery of award-winning camps, announced today details for this summer’s 76ers Basketball Camps. On the heels of a new partnership, ESF will enhance and operate the 76ers Basketball Camps, formerly known as Sixers Camps, for boys and girls ages 6-17, and later in 2019, launch the first ever 76ers Fantasy Camp for adults. 76ers Basketball Camps include Day Camps and Residential Camps at 18 locations throughout the tri-state area. During camp, young athletes will work with a highly-experienced coaching staff on their ball-handling, passing, offense, shooting and rebounding skills to advance their game. While focusing on key basketball skills and fundamentals, campers will learn the game from 76ers players, coaches and other NBA stars. Registration is open now for 76ers Basketball Camps, presented by Rothman Orthopaedics. To register or for more information, go to www.76ersCamps.com. “We are excited to partner with the 76ers, one of the best teams and brands in the NBA. The new 76ers Basketball Camps will help campers improve their skills and potential on the court while using their love of basketball to positively impact their life off the court. This partnership promises great things ahead, and we are excited to build the finest basketball camps in the NBA for people of all ages,” said Michael J. Rouse, ESF Camps & Experiences, President & CEO. Now in its 35th year, more than 100,000 campers from more than 40 countries and 45 states have attended 76ers Basketball Camps, including former NBA players Matt Carroll, Richard “Rip” Hamilton and Malik Rose. Later in 2019, the 76ers and ESF will launch a one-of-a-kind NBA experience for adults with a 76ers Fantasy Camp. This camp will give the ultimate adult 76ers fan a chance to put on an authentic 76ers uniform and play games coached and managed by 76ers legends. Since 1982, ESF has been dreaming big and inspiring people of all ages with cutting edge programs designed to feed passions and power potential. With eleven award-winning locations throughout the Northeastern region of the US, ESF is the gold standard of summer camps offering best-in-class programs, fantasy camps for adults, and experiences for kids ages, 3-17. ESF’s charitable organizations include Dream Camp and Acting Without Boundaries. Learn more at www.esfcamps.com and visit us on Facebook.